Scientists in Fermilab’s Mu2e collaboration are facing a challenging task: In order to get DOE approval to build their experiment and take data, they must scale up the simulations used to design their detector. 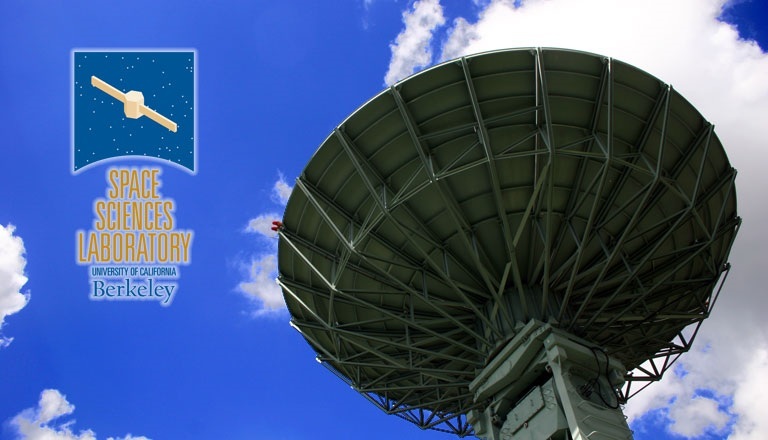 Their aim is to complete this simulation campaign, as they call it, in time for the next DOE critical-decision review, which Mu2e hopes will give the green light to proceed with experiment construction and data taking. The team estimated that they would need the computing capacity of about 4,000 CPUs for four to five months (followed by a much smaller need for the rest of the year). Because of the large size of the campaign and the limited computing resources at Fermilab, which are shared among all the lab’s experiments, the Mu2e team adapted their workflow and data management systems to run a majority of the simulations at sites other than Fermilab. 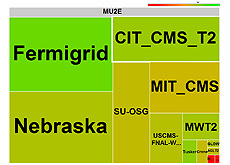 They then ran simulations across the Open Science Grid using distributed high-throughput computer facilities. Mu2e scientist Andrei Gaponenko explained that last year, Mu2e used more than their allocation of computing by using any and all available CPU cycles not used by other experiments locally on FermiGrid. The experiment decided to continue this concept on the Open Science Grid, or OSG, by running “opportunistically” on as many available remote computing resources as possible. “There were some technical hurdles to overcome,” Gaponenko said. Not only did the scripts have to be able to see the Mu2e software, but also all of the remote sites — more than 25 — had to be able to run this software, which was originally installed at Fermilab. Further, the local operating system software needed to be compatible. “A lot of people worked very hard to make this possible,” he said. Members of the OSG Production Support team helped support the endeavor — getting Mu2e authorized to run at the remote sites and helping debug problems with the job processing and data handling. Members of the Scientific Computing Division supported the experiment’s underlying scripts, software and data management tools. The move to use OSG proved valuable, even with the inevitable hurdles of starting something new. Ray Culbertson, Mu2e production coordinator, agreed. “We exceeded our baseline goals, met the stretch goals and will continue to maintain schedule,” Culbertson said. Ken Herner, a member of the support team in the Scientific Computing Division that helped the experimenters port their applications to OSG, hopes that Mu2e will serve as an example for more experiments that currently conduct their event processing computing locally at Fermilab. 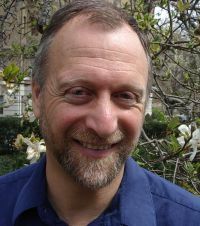 Jorge Gomes is the principal investigator of the computing group at the Portuguese Laboratory of Instrumentation and Experimental Particles Physics (LIP) in Lisbon and a member of the European Grid Infrastructure (EGI)executive board. 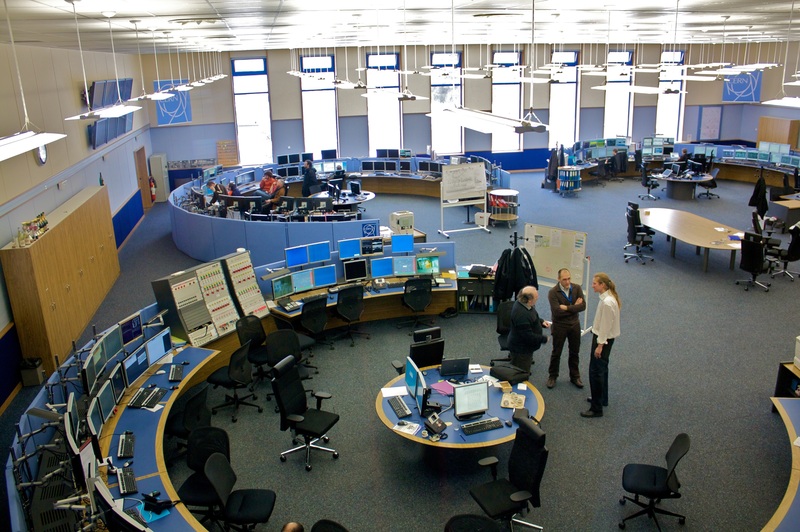 As the technical coordinator of the Portuguese national grid infrastructure (INCD), he is also responsible for Portugal’s contribution to the Worldwide LHC Computing Grid (WLCG). iSGTW speaks to Gomes about the importance of supporting researchers through a variety of IT infrastructures ahead of the EGI Conference in Lisbon from 18 to 22 May 2015. What’s the main focus of your work at LIP? I’ve been doing research in the field of grid computing since 2001. 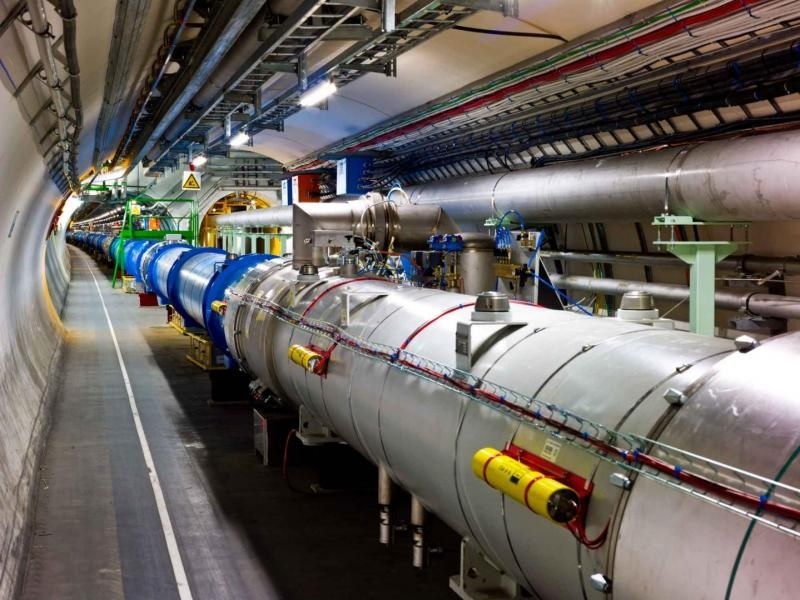 LIP participates in both the ATLAS and CMS experiments on the Large Hadron Collider (LHC) at CERN, which is why we’ve been working on research and development projects for the grid computing infrastructure that supports these experiments. Here in Portugal, we now have a national ‘road map’ for research infrastructures, which includes IT infrastructures. Our work in the context of the Portuguese national grid infrastructure now involves supporting a wide range of research communities, not just high-energy physics. Today, we support research in fields such as astrophysics, life sciences, chemistry, civil engineering, and environmental modeling, among others. For us, it’s very important to support as wide a range of communities as possible. So, when you talk about supporting researchers by providing ‘IT infrastructures’, it’s about much more than grid computing, right? Yes, today we’re engaged in cloud computing, high-performance computing, and a wide range of data-related services. This larger portfolio of services has evolved to match the needs of the Portuguese research community. Why is it important to provide IT infrastructures to support research? Research is no longer done by isolated individuals; instead, it is increasingly common for it to be carried out by large collaborations, often on an international or even an intercontinental basis. So, in order for researchers to be able to collaborate and share data with one another efficiently, the underlying IT infrastructures need to be in place. With the amount of data produced by research collaborations growing rapidly, this support is of paramount importance. Here in Portugal, we have a lot of communities that don’t yet have access to these services, but they really do need them. Researchers don’t want to have to set up their own IT infrastructures, they want to concentrate on doing research in their own specialist field. This is why it’s important for IT specialists to provide them with these underlying services. Also, particularly in relatively small countries like Portugal, it’s important that resources scattered across universities and other research institutions can be integrated, in order to extract the maximum possible value. When it comes to encouraging researchers to make use of the IT infrastructures you provide, what are the main challenges you face? Trust, in particular, is a very important aspect. For researchers to build scientific software on top of IT infrastructures, they need to have confidence that the infrastructures will still be there several years down the line. 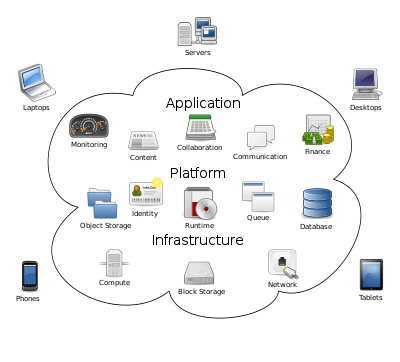 This is also connected to challenges like ‘vendor lock in’ and standards in relation to cloud computing infrastructure. We need to have common solutions so that if a particular IT infrastructure provider — either public or private — fails, users can move to other available resources. Another challenge is related to the structure of some research communities. The large, complex experimental apparatuses involved in high-energy physics means that these research communities are very structured and there is often a high degree of collaboration between research groups. In other domains however, where it is common to have much smaller research groups, this is often not the case, which means it can be much more difficult to develop standard IT solutions and to achieve agreement on a framework for sharing IT resources. Why do you believe it is important to provide grid computing infrastructure at a European scale, through EGI, rather than just at a national scale? More and more research groups are working internationally, so it’s no longer enough to provide IT infrastructures at a national level. That’s why we also collaborate with our colleagues in Spain to provide IberGrid. EGI is of great strategic importance to research in Europe. We’re now exploring a range of exciting opportunities through the European Strategy Forum on Research Infrastructures (ESFRI) to support large flagship European research projects. The theme for the upcoming EGI conference is ‘engaging the research community towards an open science commons’. What’s the role of EGI in helping to establish this commons? In Europe we still have a fragmented ecosystem of services provided by many entities with interoperability issues. A better level of integration and sharing is needed to take advantage of the growing amounts of scientific data available. EGI proposes an integrated vision that encompasses data, instruments, ICT services, and knowledge to reduce the barriers to scientific collaboration and result sharing. EGI is in a strategic position to integrate services at the European level and to enable access to open data, thus promoting knowledge sharing. By gathering key players, next month’s conference will be an excellent opportunity to further develop this vision. Finally, what are you most looking forward to about the conference? The conference is a great opportunity for users, developers, and resource providers to meet and exchange experiences and ideas at all levels. It’s also an excellent opportunity for researchers to discuss their requirements and to shape the development of future IT infrastructures. I look forward to seeing a diverse range of people at the event! “Jerome P. Nilmeier, a biophysicist working in computational biology, is willing to bet his new research will provide a breakthrough in the use of the Monte Carlo probability code in biological simulations. Just a note, “crunchers” in Public Distributed Computing using BOINC software, have know about The Monte Carlo Technique for quite some time. Many of us are or have been working on QMC@home. “Melding nanotechnology and medical research, Sandia National Laboratories, the University of New Mexico, and the UNM Cancer Research and Treatment Center have produced an effective strategy that uses nanoparticles to blast cancerous cells with a mélange of killer drugs. In the cover article of the May issue of Nature Materials, available online April 17 , the researchers describe silica nanoparticles about 150 nanometers in diameter as honeycombed with cavities that can store large amounts and varieties of drugs. R$ead the full article here. You can join the 98,000 WCG crunchers in these two projects. Visit WCG, download and install the little piece of BOINC software. Then attch to these two projects and look at the rest of what we are doing. You will be amazed. We’re pleased to announce a new academic research grant program: Google Exacycle for Visiting Faculty. Through this program, we’ll award up to 10 qualified researchers with at least 100 million core-hours each, for a total of 1 billion core-hours. The program is focused on large-scale, CPU-bound batch computations in research areas such as biomedicine, energy, finance, entertainment, and agriculture, amongst others. For example, projects developing large-scale genomic search and alignment, massively scaled Monte Carlo simulations, and sky survey image analysis could be an ideal fit. Exacycle for Visiting Faculty expands upon our current efforts through University Relations to stimulate advances in science and engineering research, and awardees will participate through the Visiting Faculty Program. We invite full-time faculty members from universities worldwide to apply. All grantees, including those outside of the U.S., will work on-site at specific Google offices in the U.S. or abroad. The exact Google office location will be determined at the time of project selection. Proposals that are ideal for Google Exacycle include, but are not limited to, research projects like Folding@Home, Rosetta@Home, various [other] BOINC projects, and grid parameter sweeps. Other examples include large-scale genomic search and alignment, protein family modeling and sky survey image analysis. The best projects will have a very high number of independent work units, a high CPU to I/O ratio, and no inter-process communication (commonly described as Embarrassingly or Pleasantly Parallel). The higher the CPU to I/O rate, the better the match with the system. Programs must be developed in C/C++ and compiled via Native Client. Awardees will be able to consult an on-site engineering team. Preference will be given to projects that are fairly high-risk/high-reward with the potential to drastically transform the scientific landscape. Even projects that yield negative results can still provide public data that the community can continue to analyze. At completion of the project, we recommend, but do not require, that all the researcher’s data be made freely available to the academic community. We are excited to accept proposals starting today. The application deadline is 11:59 p.m. PST May 31, 2011. Applicants are encouraged to send in their proposals early as awards will be granted starting in June. More information and details on how to apply for a Google Exacycle for Visiting Faculty grant can be found on the Google Exacycle for Visiting Faculty website. “We are now partnering with People for a Smarter Planet, a collective of communities that let you make a personal difference in solving some of the world’s toughest challenges. Please show your support by clicking the Like button on their Facebook page. World Community Grid operates under the watchful eye and with the financial support of IBM Corporation. Here is what IBM says: “Our World Community Grid initiative utilizes grid computing technology to harness the tremendous power of idle computers to perform specific computations related to critical research around complex biological, environmental and health-related issues. The current projects include Help Fight Childhood Cancer, Clean Energy, and Nutritious Rice for the World, FightAIDS@Home, Help Conquer Cancer, AfricanClimate@Home, and a genomics initiative and research on Dengue Fever. Lets look at some of these projects. All of the text for each project comes from the project’s page at WCG. Lack of access to clean water is one of the major humanitarian challenges for many regions in the developing world. It is estimated that 1.2 billion people lack access to safe drinking water, and 2.6 billion have little or no sanitation. Millions of people die annually – estimates are 3,900 children a day – from the results of diseases transmitted through unsafe water, in particular diarrhea. The mission of Discovering Dengue Drugs – Together – Phase 2 is to identify promising drug candidates to combat the Dengue, Hepatitis C, West Nile, Yellow Fever, and other related viruses. The extensive computing power of World Community Grid will be used to complete the structure-based drug discovery calculations required to identify these drug candidates. “Human Proteome Folding Phase 2 (HPF2) continues where the first phase left off. The two main objectives of the project are to: 1) obtain higher resolution structures for specific human proteins and pathogen proteins and 2) further explore the limits of protein structure prediction by further developing Rosetta software structure prediction. Thus, the project will address two very important parallel imperatives, one biological and one biophysical. The project, which began at the Institute for Systems Biology and now continues at New York University’s Department of Biology and Computer Science, will refine, using the Rosetta software in a mode that accounts for greater atomic detail, the structures resulting from the first phase of the project. The goal of the first phase was to understand protein function. The goal of the second phase is to increase the resolution of the predictions for a select subset of human proteins. 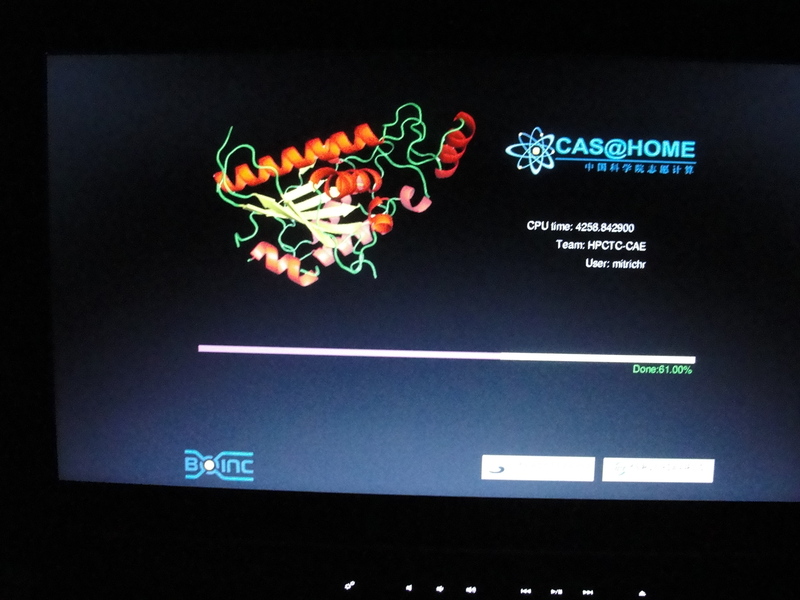 Better resolution is important for a number of applications, including but not limited to virtual screening of drug targets with docking procedures and protein design. By running a handful of well-studied proteins on World Community Grid (like proteins from yeast), the second phase also will serve to improve the understanding of the physics of protein structure and advance the state-of-the-art in protein structure prediction. This also will help the Rosetta developers community to further develop the software and the reliability of its predictions. 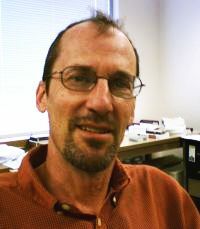 Prof. Arthur J. Olson’s laboratory at The Scripps Research Institute (TSRI) is studying computational ways to design new anti-HIV drugs based on molecular structure. It has been demonstrated repeatedly that the function of a molecule — a substance made up of many atoms — is related to its three-dimensional shape. Olson’s target is HIV protease (“pro-tee-ace”), a key molecular machine of the virus that when blocked stops the virus from maturing. These blockers, known as “protease inhibitors”, are thus a way of avoiding the onset of AIDS and prolonging life. The Olson Laboratory is using computational methods to identify new candidate drugs that have the right shape and chemical characteristics to block HIV protease. This general approach is called “Structure-Based Drug Design”, and according to the National Institutes of Health’s National Institute of General Medical Sciences, it has already had a dramatic effect on the lives of people living with AIDS. Even more challenging, HIV is a “sloppy copier,” so it is constantly evolving new variants, some of which are resistant to current drugs. It is therefore vital that scientists continue their search for new and better drugs to combat this moving target. There are currently about 98,000 members of this crunching community. We are called crunchers because that is what our computers do. Once having installed the software and chosen our projects, we are sent small work units to process. The finished data is sent back to WCG and we get new work units. How are we rewarded for our efforts? Really, just with the satisfactiuon of knowing that we might be helping to save lives. But, we do get little gifts, badges based upon our completed work. Some crunchers have organized themselves into teams. The teams compete for points or credits. There are al;l sorts of teams, from a few people organizing in a church or synagogue, to mega teams of techies building mroe and more Linux boxes. So, 98,000. That is a lot of people; but not in a world with one billion computers. We want and need your help. I am personally crunching 24/7 on five machines – yesterday the sixth, an older PC died. The cost in electricity? About the same as a 100-150 watt light bulb as long as you have your monitor on a power save setting. All WCG projects run on software developed and continually upgraded by At UC Berkeley, The Berkeley Open Infrastructure for Network Computing.You can download the little piece of BOINC software that makes this all happen either at WCG or http://boinc.berkeley.edu/. If you choose to download the software at the BOINC page, there you will see a link to a whole other list of wonderful projects which are running independently of WCG. So, please, won’t you give us a look? This is copyright protected material, so, just a taste. Realizing that assembling enough computing power in a single place wasn’t a feasible option for the many member countries involved in CERN, the engineers and scientists turned to grid computing as a solution. ‘You will get about a billion collisions every second if the machine is operating at full speed,’ said Oliver Keeble, activity leader for the CERN grid. When data is recorded and stored at CERN for access to the grid, it is written onto magnetic tapes of the type once used in the Sony Walkman. The information on these tapes is accessible by any of the institutions at all tiers of the worldwide LHC grid, located in 34 different countries. YOU ARE PROBABLY NOT GOING TO UNDERSTAND A SINGLE TECHNICAL TERM IN THIS UPDATE FROM THE FIGHT AIDS AT HOME PROJECT. BUT, READ THE ACCOUNT ANYWAY. THESE GUYS IN THE OLSON LABORATORY AT THE SCRIPPS RESEARCH INSTITUTE HAVE BEEN IN THE FOREFRONT OF AIDS RESEARCH FOR A VERY LONG TIME. “Experiment 35 involves screening the full NCI library of ~ 316,000 compounds against the active site of 8 different versions of HIV protease. Thus, this experiment is similar to Exp. 32, but a different library of compounds is being screened, and one new target has been added. All but two of these target conformations were generated by Dr. Alex L. Perryman’s Molecular Dynamics (MD) simulations of 5 different variants of HIV protease. These 8 targets include 2 snapshots of the V82F/I84V mutant from ALP’s 2004 paper in Protein Science. These 2 snapshots of a multi-drug-resistant “superbug” have semi-open conformations of the flaps, which makes these models good targets for the “eye site” that is located between the tip of a semi-open flap and the top of the wall of the active site. The 3rd target is the equilibration MD (EqMD) output for 1HSI.pdb, which is a semi-open conformation of HIV-2 protease. HIV-2 is the group of strains of HIV that are most common in Africa. We’ll be targeting the “eye site” of 1HSI, as well. The 4th target is the EqMD output from 1MSN.pdb, which was created using a different crystal structure of the V82F/I84V superbug. This model has a closed conformation of the flaps, which means that we’ll be targeting the floor of the active site. The 5th target also has a closed conformation of the flaps, but this EqMD output is from 2R5P.pdb, which is the wild type HIV-1c protease. HIV-1c is the group of strains of HIV that are most commonly found in Asia. The 6th target has semi-open flaps, and it is the EqMD output from 1TW7.pdb, which is a superbug with the mutations L10I/D25N/M36V/M46L/I54V/I62V/L63P/A71V/V82A/I84V/L90M. We’ll be targeting the eye site of this superbug, too. The 7th target is a crystal structure of the wild type HIV protease with 5-nitroindole bound in the eye site. This new crystal structure from Prof. C. David Stout’s lab was presented in the Supporting Information for our recent article in Chemical Biology and Drug Design, vol. 75: 257-268 (March 2010). This new research article of ours was recently discussed in a press release on Science Daily and in a news story on KPBS-FM. This paper was recently listed as one of the “most read papers” from Chemical Biology and Drug Design this year! I deleted the 5-nitroindole fragment from this structure before generating the AutoDock input file for this target. We’ll be screening new fragments against this crystal structure’s eye site, as well. You can help in this vital project and other very worthwhile projects which are a part of World Community Grid (WCG). 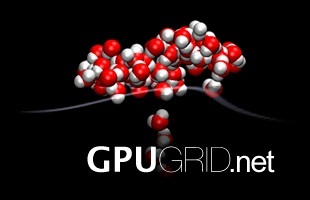 Visit WCG, download the BOINC software application and attach to the WCG project. Build your own “profile” at WCG, selecting which projects you find to be of interest. There are some 97,000 of us “crunching” data for these projects on out home and/or work computers. Most of these projects are in the fields of medical or biological research. 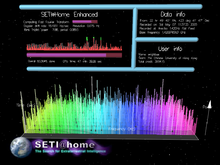 While you are at it, visit the BOINC site where you will find a whole host of other projects in biology, chemistry, cosmology, mathematics and physics. Visit the project home pages, read about the work, and maybe you will also find other attractive projects on which you might wish to lend a hand. All in all, about 303,000 people “crunch” data for all of the BOINC projects combined, including the projects at WCG. Together, we have saved lab scientists literally thousands of hours of research time. Current over all statistics: 303,045 volunteers, 486,047 computers. 24-hour average: 5,150.82 TeraFLOPS. So, we have just under a half million computers on all of the projects. Think that’s a goodly number? Well, there are close to a billion computers in use in the world. So that means we have 0.0003, that’s 0.03%, 3 one hundredths of one percent. If you add just one computer to this total, it means a lot. The process uses the idle CPU cycles of your computer(s) while they are running. After you attach to projects, you have really no work to do. The BOINC software takes care of everything, downloading “work units” (WU’s), processing the WU’s, uploading the finished results. You can if you wish become active in the forums maintained by WCG, BOINC, and each project. You can join a team, say at your alma mater, or your company; or you can start a team in your company, church, mosque, temple or synagogue, whatever. Some of the projects have really cool screen savers which you can use. I am personally running three Win 7 machines and two Vista machines, 24/7. The cost of running a computer is about the same as a 100-150 watt light bulb, so it is quite cheap. I consider this to be the most meaningful thing that I have ever done with my computers. I urge you to take a look, give us a shot.